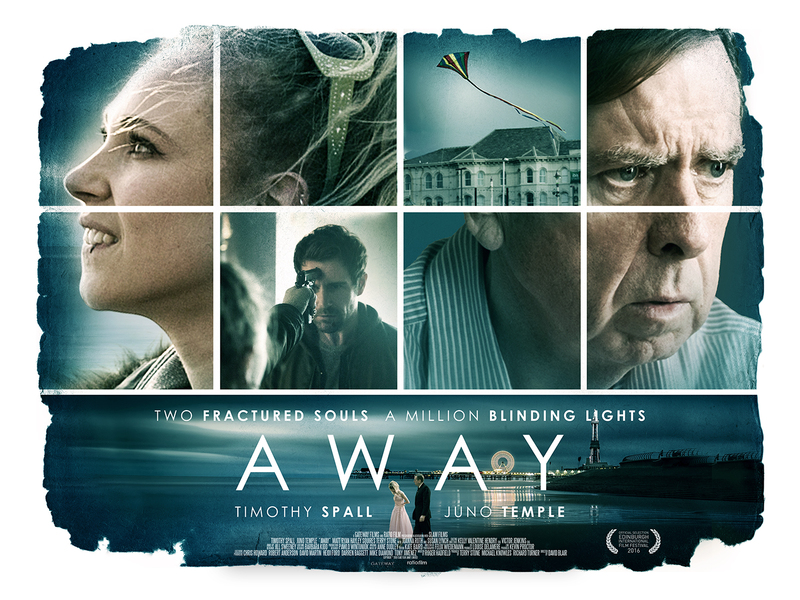 Gateway Film’s new movie AWAY is directed by the double BAFTA award-winning, David Blair, and the music was scored by the Oscar-winning, Anne Dudley. The stars of the film include Palm D’Or winning Timothy Spall (for “Mr. Turner”, also in “The Kings Speech”), BAFTA-winning Juno Temple (“Black Mass”, “Sin City 2”), The recently Bafta Nominated (2017) Hayley Squires (“I, Daniel Blake” – winner of the Palm D’Or in Cannes), with various other celebrities at the UK World Premiere. The film was nominated for Best Feature at the highly prestigious Edinburgh International Film Festival earlier this year and it also recently won the Président du Jury Award (a “Hitchcock”) from the Oscar-winning director Claude Lelouch at the 2016 Dinard Film Festival. This is a wonderful opportunity for your brand to get seen at the World premier red carpet event of the movie AWAY. Gateway Films previously had a successful brand opportunity with the premiere of “Outside Bet” they had a large company based in the UK who sponsored the event. First of all it is a great way to get your brand out there amongst the stars and VIP’s, as well as to show support for the British film industry and also give clients and staff a “once in a lifetime” experience – you are able to meet the stars of the movie and have the full red carpet VIP experience at the world premiere with drinks and popcorn included as well as being able to attend the VIP after-party at one of London’s top nightclubs (drinks and canapes on arrival included). You will also have branding sponsorship on the premiere invitations and on the wall of fame at the premiere and along the red carpet if so desired. You will also be able to add your products in a goody bag that will be handed out on the night and also your branding will be everywhere to get you seen and heard and talked about. The people attending this event will be actors, celebrities and HNW investors amongst other VIP’s. Gateway Film’s will be asking for sponsorship of a minimum amount of 100 tickets at £100 each, this will be a huge event and a place to get your brand, company, face noticed.